Discussion: What are your favorite children’s book? (Apologies for listing the books in this long picture list like this. I tried to “line” the pictures up horizontally instead of vertically but it didn’t work, so you get this instead). So what are your favorite books you remember reading as a child? I always loved, and still do, the entire Little House series by Laura Ingalls Wilder. I don't know how many times I read those books as a kid, and I don't even want to think about how many times I've read them as an adult! I'll second The Lorax, and add Harold and the Purple Crayon, The Frog and Toad books, and Richard Scarry's books. My favorite is Harold and the Purple Crayon. I keep a copy on my coffee table and read it any time I am feeling out of sorts. I also really liked Stone Soup when I was a kid. Love all of the above, especially The Lorax and Harold and the Purple Crayon. 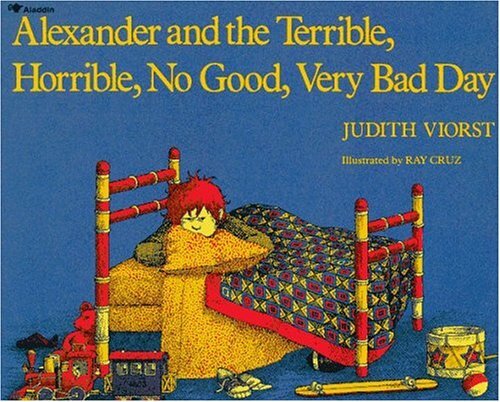 My all-time favorite, however, is Alexander and the Magic Mouse. An amazing story for children!